Stylish faux leather dining chairs available from stock in Ivory faux leather, with a wenge frame. Solid beech construction and delivered assembled and ready to use. 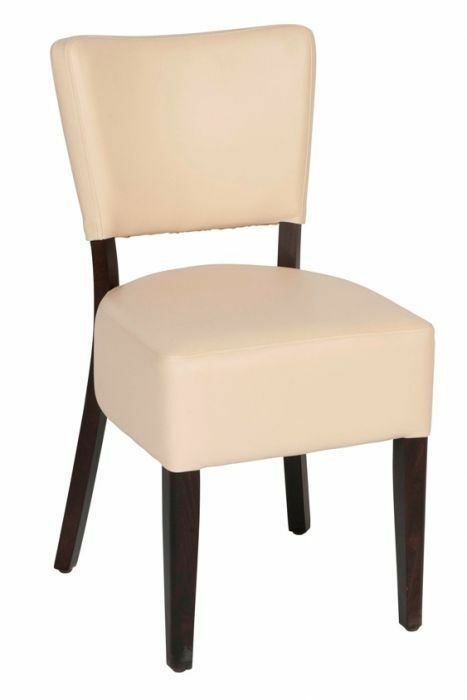 Fully upholstered seat and back dining chai with extra padded seat and back. This range of seating is ideal for use in a modern, spacious restaurant atmosphere.